All Redfoots are shipped Monday - Wednesday. 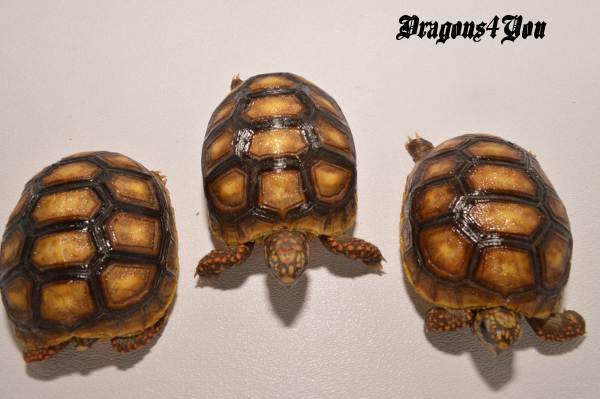 When ordering a Tortoises, Shipping date will be determined by temperatures in your area. When buying more than one RedFoot Tortoises, contact us by phone or email to combine shipping. Appro: 3 inches. Eating Greens and Mazuri Tortoise Chow.